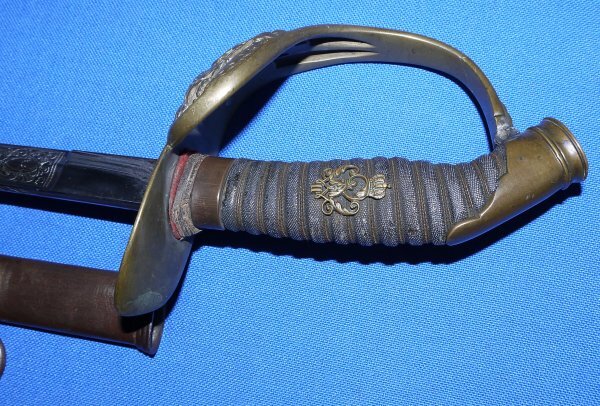 In good condition (but with repairs), a WW1 German Wurttemberg Infantry Officer's Sword. 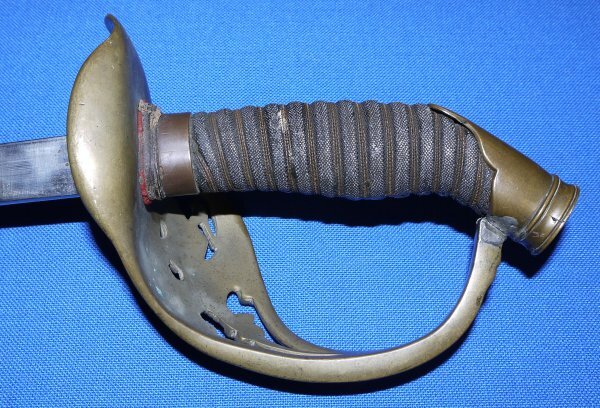 A great sword but with repair to where the guard meets the pommel, plus the scabbard has the solder type remains of where this sword was once mounted, presumably as a war trophy. 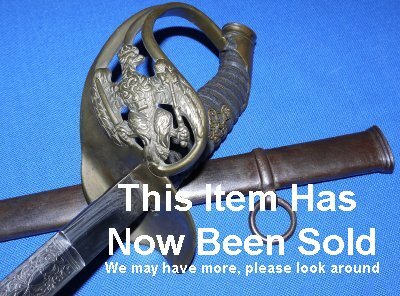 The 34 1/4 inch blade is in exceptionally good condition, no maker marks, firm on the hilt. 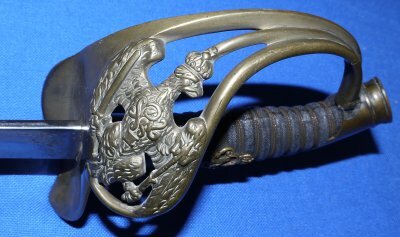 The hilt has been damaged in the past; a repair can be seen to where the back strap / piece of the guard meets the pommel, plus the tang is recessed behind a mastic in the pommel top. Grip and twisted grip wire mostly very good. The steel scabbard good except for two mounting section marks. The sword sheathes and draws well. A lovely looking sword. Yours for only £? (too late, now sold) . Please quote item reference number AC12 (0219). Further / large images available upon request.